The Fastway® Zip™ 48 inch breakaway cable & switch system is designed not to drag. The coiled design keeps the cable up off the ground and out of harms way while you are towing. 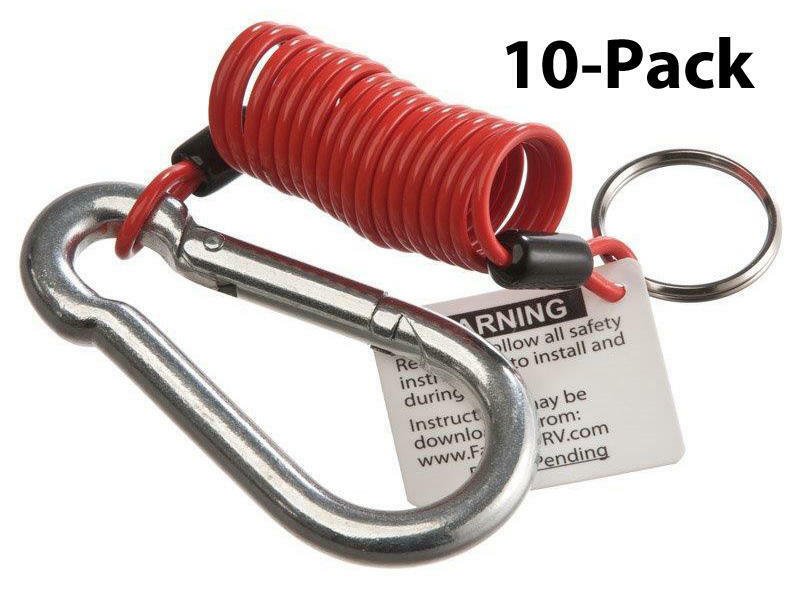 The zip cable easily attaches to the tow vehicle with a large spring clip and attaches to the existing pin. The universal design quickly and easily replaces almost any broken/damaged breakaway cable you have. 10-Pack. Perfect for those who want to upgrade their cable.